Imagine you have just heard the words: “You have breast cancer.” After you picked yourself up off the proverbial floor, you would be faced with some fairly complex choices to make. But, depending on the kind of breast cancer you have, what if you could take a test that would give you a very good indication of whether or not chemotherapy would be helpful? The test – Oncotype DX – has been available for more than 10 years and is covered by all health plans, Medicare and Medi-Call. But the truth? Only about 2 out of 10 women are prescribed the test by their doctors. 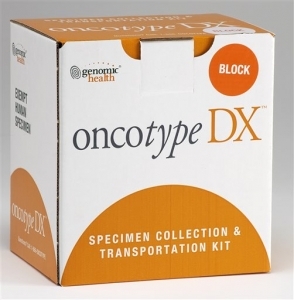 In fact, a recent study has found that while Oncotype DX test results strongly influence whether doctors recommend chemotherapy after surgery or not, black women are less likely to receive the test. That’s not okay with Susan G. Komen. Everyone deserves the same standard of care.